The violin has come a very long way as a musical instrument. Thanks to this, we have seen many famous violinists that have not only entertained the world but have changed and directed all we know about the instrument and how we have come to appreciate it. From classical violinists like Niccolo Paganini and Pablo de Sarasate to those who have crossed genres with their instrument like Mark O’Connor, and many more that are taking charge of the stage today, the list of the greatest and most famous violinists can be very long. However, we have only collected 10. 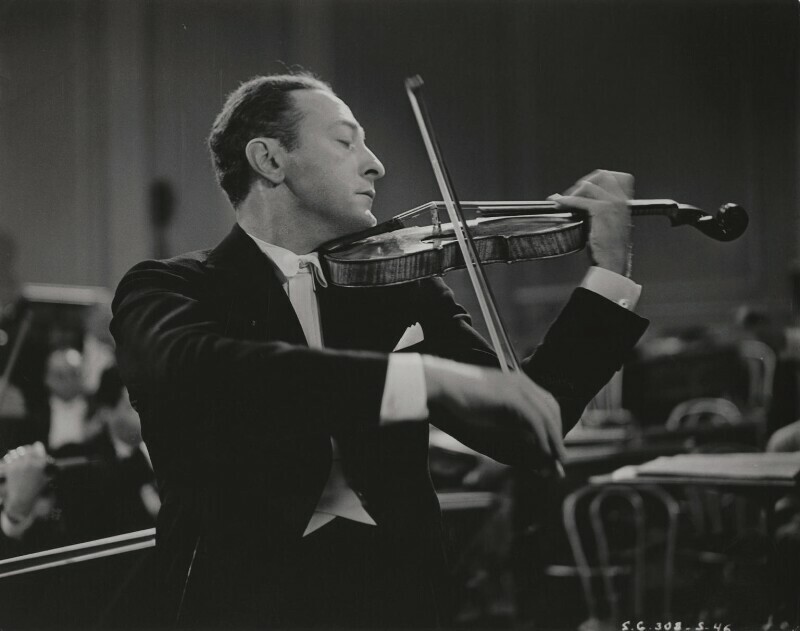 Heifetz is considered by many to be the greatest of the most famous violinists of all time. Born into a Russian-Jewish family on 2 February 1901 in Lithuania which was at the time a part of the Russia Empire, the violinist later moved to the United States with his family in 1917. Having started playing the instrument since he was a child, Jascha started earning from his music since he was seven. When in 1917 he played in the US for the first time at the Carnegie Hall in New York, he immediately became a big name and was soon inducted into the Phi Mu Alpha Sinfonia fraternity for men in music. Only 16 at the time, he was the youngest to be elected. As a recording artist, he was prolific with so many recordings to his name before his death in 1987. He will always be regarded for his tone and style as well as his exacting technique which have come to influence modern violin. 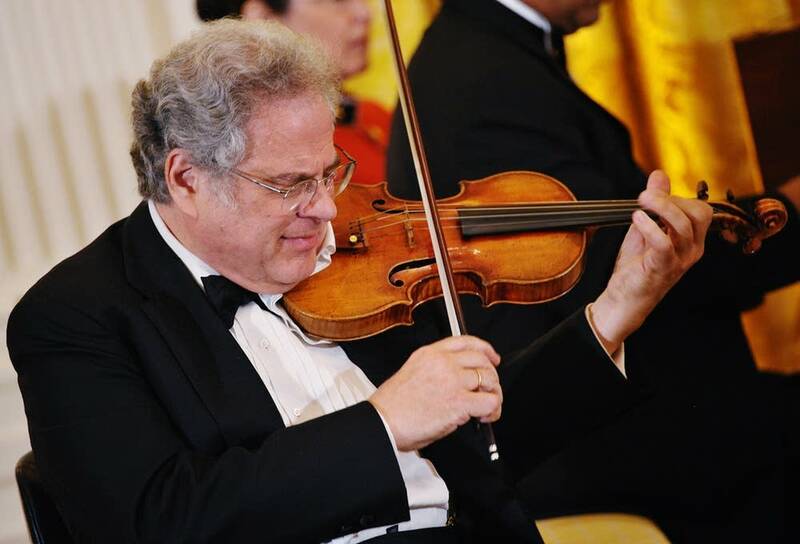 Not only is Itzhak Perlman one of the most famous ever, he is also definitely one of the greatest the world has seen. He has not only performed all over the United States including the White House but has also played all over the world. Born on 31 August 1945, Perlman first heard a classical violin being played on the radio and he immediately fell in love with it. He tried entering the Shulamit Conservatory at the age of three but was denied because he was too small to hold the instrument. Since he began his career in 1958, he has come to work with people like Andre Previn and Oscar Peterson and has released a good number of albums including Tradition (1987), Duos (1987), Concertos from My Childhood (1999), and The Perlman Sound (Warner Classics, 2015). Apart from being a violinist, Perlman is also a conductor and a music teacher. He has won many awards in his career including the multiple Grammy Awards including the Grammy Lifetime Achievement Award and the Emmy Award. One of the things that have made Mark O’Connor be among the most famous violinists and, of course, one of the greatest to handle the instrument is how much he has been able to play across genres. From jazz to country, classical music, country, and bluegrass, his music has been able to combine them all. Born on August 5, 1961, in the United States, O’Connor grew up playing multiple instruments and had national titles for the fiddle, mandolin, and guitar as a child. He started his career when he was 13 and by the time he was 19, he had already become a four-time champion of the National Oldtime Fiddler’s Contest in Weiser. With 3 Grammys to his name, he has released many albums such as National Junior Fiddling Champion (1974), Soppin’ the Gravy (1979), The New Nashville Cats (1991), and Coming Home (2016). As far as the contemporary violin is concerned, Hilary Hahn cannot be missing from the list. Famed as a soloist, she stated that she has been playing solo Bach since she was 8 and that is one of the things that have helped her playing to remain honest. She was born on November 27, 1979, in the United States and has come to be known for her classical music. She first began playing violin before she was 4 when she attended the Peabody Institute where she took the Suzuki Program. She also studied under the famous violin teacher Klara Berkovich and later at the Curtis Institute of Music. She made her major orchestral debut when she was 11 with the Baltimore Symphony Orchestra. It was, however, in 1996 that she began her recordings and since then, she has risen to be one of the most famous in the music. Although still young, she has revolutionalized the instrument. Chang is regarded as a child prodigy who made her debut with the New York Philharmonic when she was only 8 years old even though she first started learning to play when she was 3. She was born in 1980 to Myoung-Jun and Min-Soo Chang, a composer, and a violinist and music teacher respectively. She was accepted into the Julliard School when she was 5 and when she was 6, she began her studies with Isaac Stern outside school. For her excellence and the many recordings she has to her name, she has received recognition like the Avery Fisher Career Grant (1992), Newcomer of the Year award at the International Classical Music Awards (1994), and was inducted into the Hollywood Bowl’s Hall of Fame in 2004. She is now regarded as one of the world’s great violinists. American violinist Joshua Bell has more than 20 albums to his name and has spent over three decades as a violinist. He began playing the violin since he was 4 thanks to the influence of his mother who was a pianist. 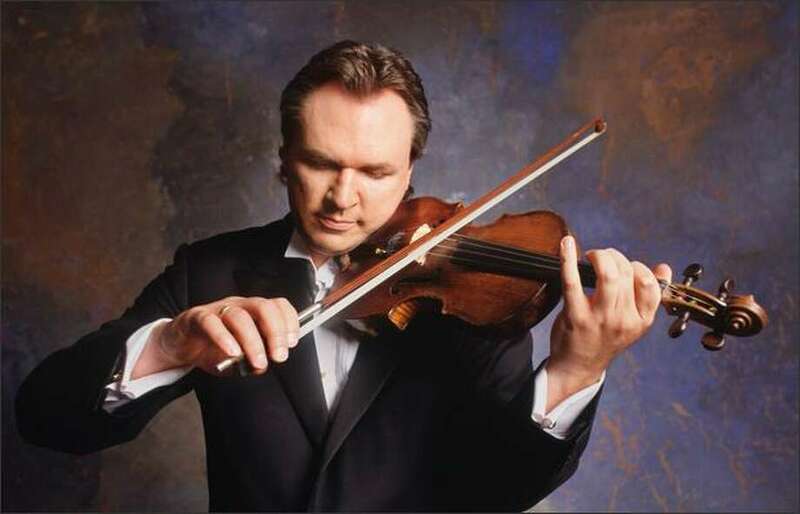 With more learning and hard work, Bell who was born on December 9, 1967, made his debut as a violinist with the St. Louis Symphony in 1985 when he was 17. In the years that would follow and define his career, he has performed on six continents with every major orchestra while he continued as a soloist, recitalist, and chamber musician. He has also performed for 3 US presidents including former president Barack Obama. 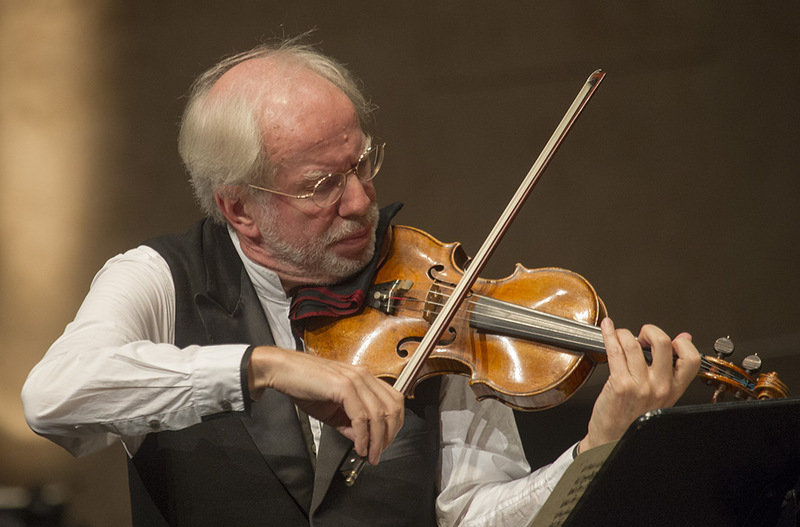 And then there is also Gidon Kremer who became famous for the unconventional ways that he has gone with his career. His journey into becoming a musician was by no means an accident as both his father and grandfather were accomplished string players. Born on 27 February 1947, Kremer started studying music since he was a boy of just four with the help of his father and grandfather. By the time he was 16, he had already enrolled and finished from the Riga Music School nine years earlier and had won the First Prize of the Latvian Republic. From here, he would go on to win a number of different awards even before he started his professional career. More than 5 decades since he began, the German violinist has become one of the biggest as far as the instrument is concerned, with many recordings, a number of books, and many awards including a Grammy. The journey of Vanessa-Mae to becoming one of the most famous violinists was not easy, growing up with a mother who physically and mentally abused her for any mistake she made while playing the instrument. 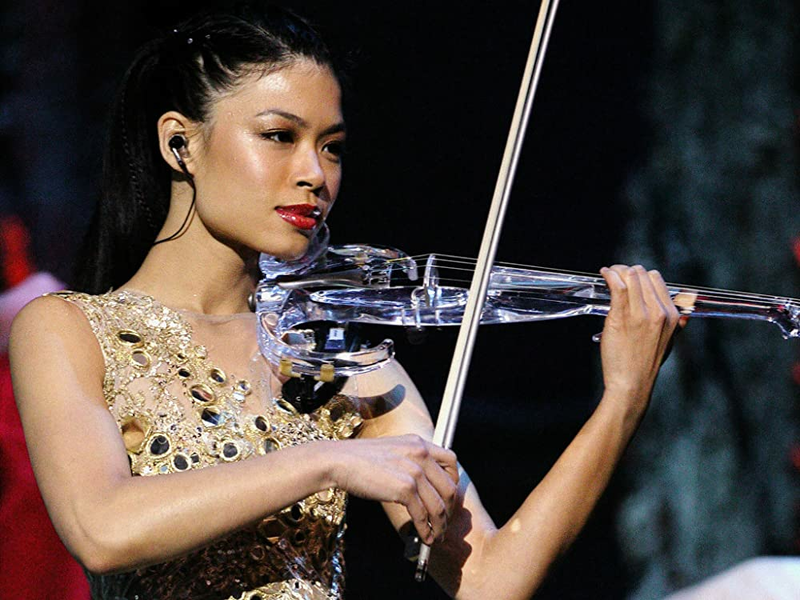 Born in Singapore in 1978, Vanessa-Mae Vanakorn Nicholson moved to London when she was 4 and that was when she started playing the violin. Before then, she had already begun playing the piano. She recorded both the Beethoven and Tchaikovsky violin concerts when she was only 13, making her the youngest soloist to achieve the feat. She released The Violin Player which is her first pop-style album in 1995 and two years later, she appeared with Janet Jackson on her album The Velvet Rope. Also a skier, she has released 10 studio albums, 4 compilation albums, and 1 Ep. She is one of the biggest-selling solo violinists. 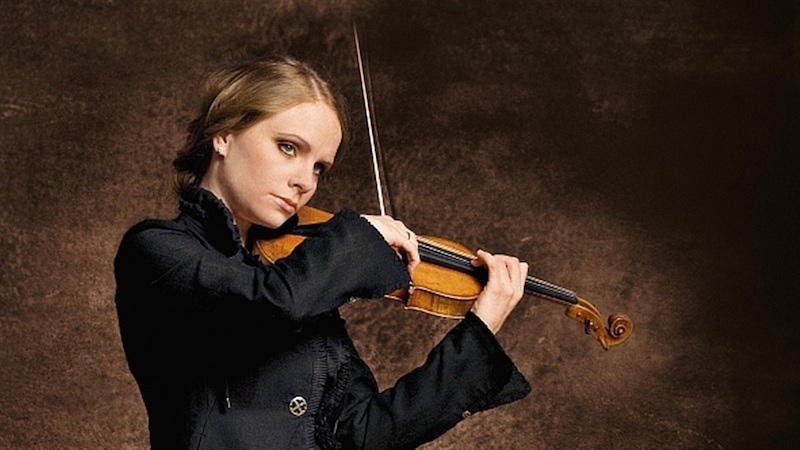 When it comes to the famous violinists of the 21st century, there is hardly a way that one will not consider Julia Fischer. Born in 1983, Fisher is a German classical pianist who has also made a name for herself as a pianist. Like many others, she began playing when she was only 4 when she was taught by Helge Thelen. Long before that, she was taught to play the piano by her mother who was a pianist. She decided to learn the violin because her elder brother also plays the piano and so she felt the need to have knowledge of another instrument. Fischer studied at Leopold Mozart Conservatory when she was 8 and when she was 9, she enrolled at the Munich University of Music and Performing Arts. At the age of 12, she won the International Yehudi Menuhin Violin Competition in 1995 followed by the Eighth Eurovision Competition for Young Instrumentalists the next year. It was since then that she began the career that would see her becoming one of the most important violinists of the century. Stern was more than just a violinist, he was also a strong force behind many great and famous violinists including Itzhak Perlman. Highly respected in the violin community as a statesman as well as a premier violinists of the 20th century, he was both a violin teacher and a player. When he was 6, Stern started learning to play the piano but he would soon turn his interest to the violin which led him to study at the San Francisco Conservatory and then later under Naoum Blinder. Since making his debut at the age of 15 with the San Francisco Symphony, he would go on to collaborate with the great Russian pianist Alexander Zakin before going on to discover great violinists like Pinchas Zukerman. Before his death in 2001 at the age of 81, Isaac Stern had already had many recordings and awards to his name.